In a very anticipated announcement on Thursday, Facebook revealed a brand new look for the first thing that everyone sees when they log on—their News Feed. Currently, the News Feed delivers all the content you follow—from your friends, your interests, and the pages you like—into one giant stream of content. The new News Feed flips this idea on its head. Mark Zuckerberg stated in his announcement that the goal of Facebook is to “give everyone the best personalized newspaper we can.” So the new News Feed tries to accomplish just that, with a brand new, sleek look that emphasizes newsworthiness and social relevancy. A sleeker, more modernized look – there will be less emphasis on the sidebars and more emphasis on the content stream. Bigger photos – Zuckerburg claims that over 50% of content in the average user’s Facebook feed is visual content, so why not bring that visual emphasis to the forefront? Social Temperatures – stories and photos that have been liked and shared by your friends will appear at the top of your News Feed, accompanied by pictures of the people who have interacted with the post. Mobile consistency – Facebook will now look consistent across all smartphone and tablet devices, no matter their size. 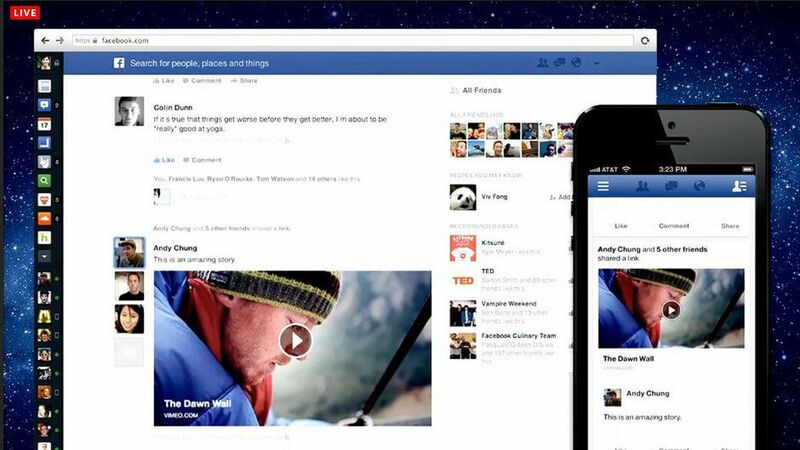 The new Facebook News Feed design was unveiled in a public announcement on Thursday. It will be more consistent across smartphones and tablets and will be even more visual. Sounds great, right? But what do these changes mean for your business? Well, if other updates are any similar, it means that you’ll have to rethink your marketing strategy for Facebook. Let’s look at some of the specific changes and how they impact your brand pages. There’s already been an emphasis on visual content since the unveiling of Edge Rank, but the new News Feed seems that it will place an even bigger emphasis on photos and videos. This means that your business will need to get visual, and fast. But the good news is that when you do share pictures and videos with the people who follow you, these media will have a new, vibrant feel. They’ll be placed centermost in News Feeds, and that’s definitely a plus for you! Additionally, reports from people who already have the new look say that brand pages now show up in news feeds when a friend has liked their page. Mikal E. Belicove, writing for Forbes, reports that when someone likes a business page, their friends will now see that business’s banner and profile image—instant branding recognition and a definitely plus, plus, plus for you. This is an example of what people will see when their friends like a brand page on Facebook. So as Facebook moves to its new design, make sure you have compelling brand images that identify your business and visually separate you from your competition. The fact that people will soon be able to filter their streams to whatever their interests are will prove to be an interesting change. Obviously the main News Feed will aggregate all content from a user’s specific streams, which is fine, as long as your page is sharing content other people are interacting with. If you’re not, you might just get lost in the crowd. The same goes for the new specific stream—if a user who follows your local business also follows large corporate brand pages like Coca Cola, Macy’s, or WalMart, they’re most likely going to see more content from those pages, simply because they’re bigger, better, and have a stronger following. So make sure you’re sharing interesting, useful, and compelling content with your followers—they’ll thank you for it by interacting with it, revealing you to their friends and family. I’ve already said this a few times, but good content is now going to be key to marketing on Facebook. The better something you share with your followers is, the more likely it’s going to appear at the top of people’s news feeds (which, by the way, already happens, just not in quite a visual way). Of course, Facebook is now a business, so there will always be a way around organic sharing—paid advertising. No official comments were made about how this update will affect advertised and promoted posts, but I’m sure it would work like above, just with money to back it. Overall, I believe this is a positive change for Facebook, and especially for businesses on Facebook. However, it IS going to be an adjustment. If you run a business page, just make sure that you’re staying abreast with news, updates, and other insights into the changes, and you’ll be just fine. And remember: compelling content is what matters most. Note: The rollout for the new News Feed is gradual and started Thursday immediately after the announcement. If you’d like to add yourself to the waiting list for people who get updated first, simply visit facebook.com/newsfeed and click the button.